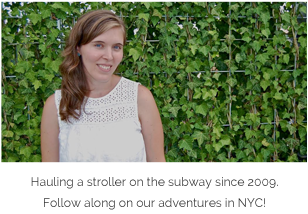 The girls and I headed downtown the other day to check out the new street art installation by Kelsey Montague, a lovely gal I happen to know thanks to social media and this here blog. Amongst her many talents, she and her sister also run a pretty cool ethical fashion website called Nikita and Vesper. 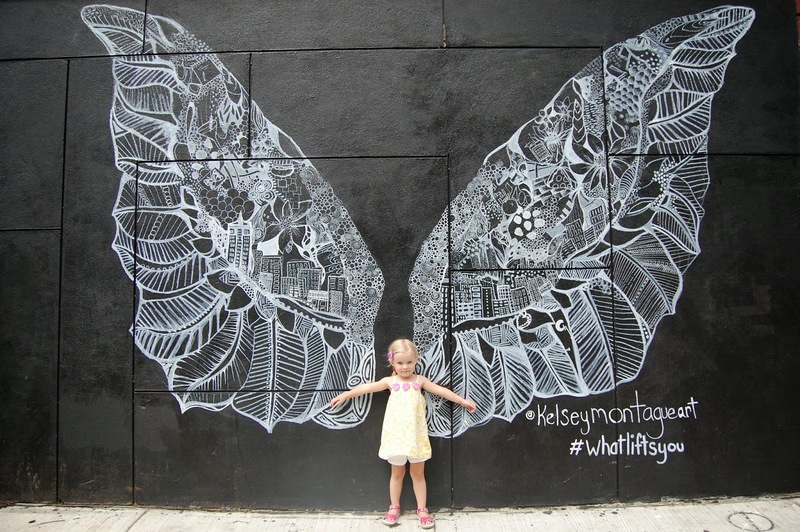 Kelsey's wings (and the hashtag #whatliftsyou) have caused quite the stir online, thanks to poses from Taylor Swift and an interview on Mashable. Kelsey hopes to raise awareness for social justice and organizations like the Coalition for the Homeless in addition to furthering her artistic pursuits. 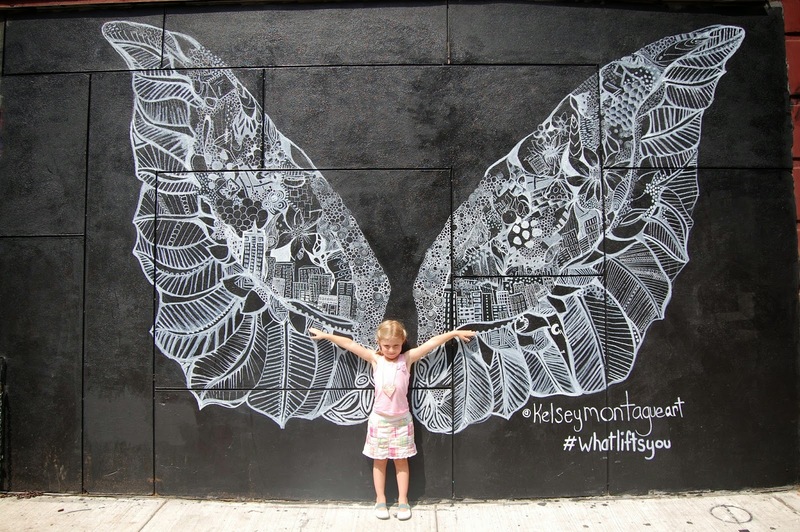 If you'd like to be an angel or fairy for a moment, check out the wings on the corner of Kenmare and Mott in Nolita! 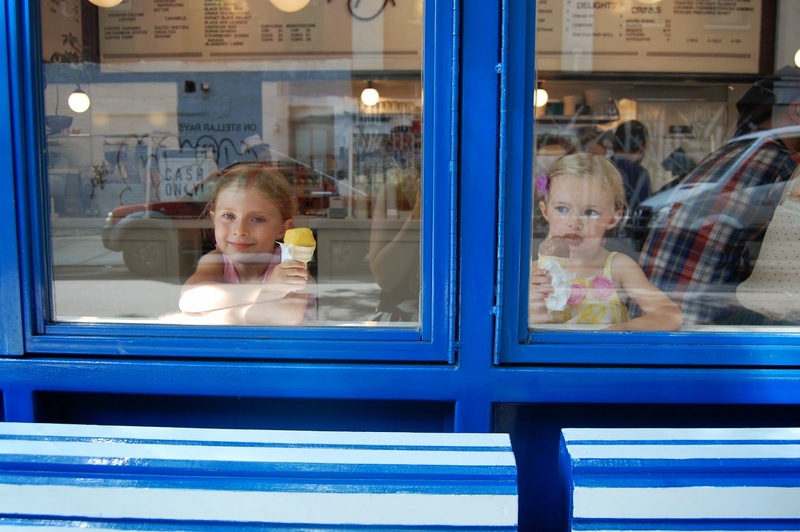 Next, we headed to Morgenstern's Ice Cream on Rivington Street. 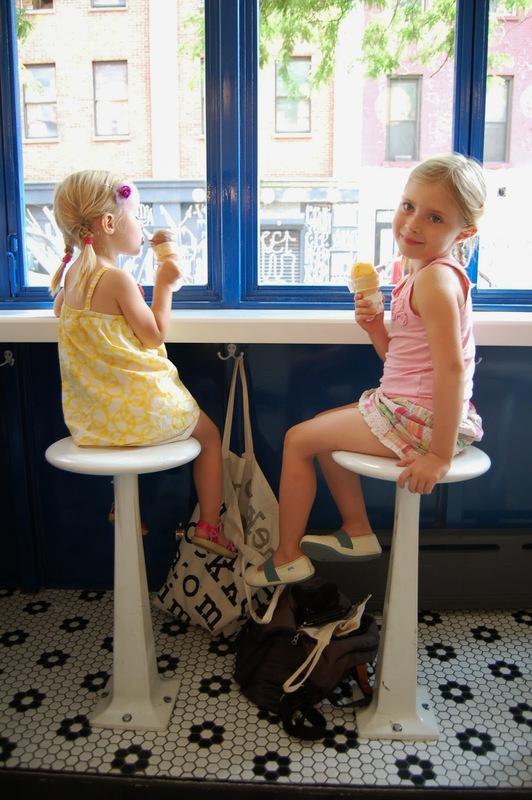 Like every other toddler on the planet, the girls are obsessed with ice cream, and Morgenstern's didn't disappoint. It's such a pretty little space, too. I love that the servers wear old fashioned hats, and the decor is bright and cheery. It was such a hot day, we could have stayed all afternoon! 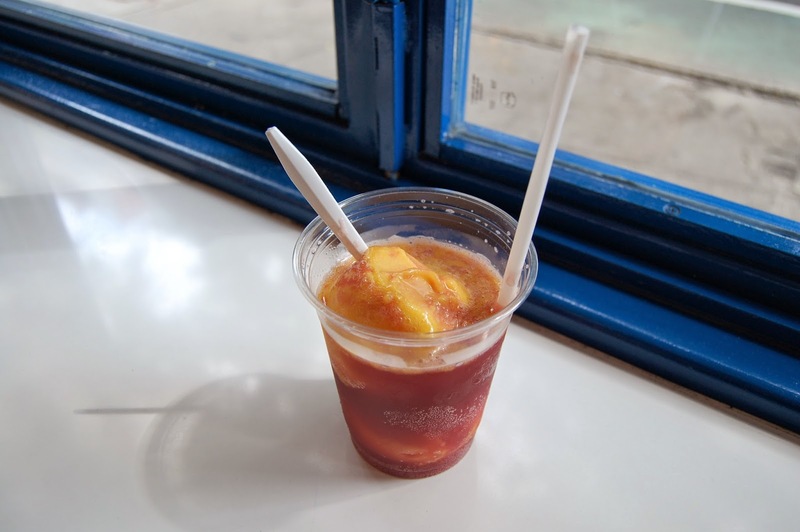 While the girls munched on cones (reasonably priced at $3.50) I had the most refreshing mango cooler with pomegranate soda. DELISH. Such a fun summer afternoon!